Once our local farmers harvest and dry the corn grown for our Baby Bourbon, we grind it, add water and cook the mash for fermenting – creating a round flavor and balanced palate. Baby Bourbon is left to mature in our signature small charred new American oak barrels, giving it a uniquely rich amber color. Small barrels mean more wood contact, which accounts for its rich, oaky, smoky flavor profile. We never charcoal or chill filter our bourbon, giving you a full-flavor experience. You’ll also recognize subtle notes of vanilla and caramel. Product details such as images, labels, vintages may change from our suppliers without notice. If you are looking for a specific vintage, batch or label design, please contact us to confirm before ordering. Not all products are available in our stores at all times for immediate collection, please contact us to confirm availability. Alize Gold Passion is the original Alize, and was introduced in the United States with much excitement in 1986. For the first time consumers had the unique opportunity to enjoy an exotic, high image, easy to drink or mix blend of passionfruit, with premium French spirits. 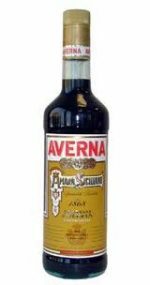 Amaro Averna is a liquor that comes from a careful selection of herbs and roots that makes its taste delicate and its flavour unmistakable. The mix of grains, yeast, and seven soothing years in new oak combine to give this bourbon a deeply mellow, richly flavorful, medium-bodied taste with a delicious aroma full of fruit and vanilla. Baker’s is best served in a snifter with a splash of spring water.